Due to it’s central location, you’d think Gili Meno would be the centre of attention, but this shy little island happily hides in the shadows of its siblings. Fewer tourists reach these shores, which make it the perfect retreat for those seeking some peace and absolute quiet. Deserted Beach on Gili Meno. Image by Home is where your bag is. Empty warungs situated along even more empty beaches, the Robinson Crusoe type would feel right at home on Meno. With its minimal development, step back in time to an Indonesia of the seventies or eighties. How would we spend a day on Meno? Book in hand with our better half in tow. Insider Info: If you are looking for a night out on this super quiet island, The Brotherhood Gili Meno will provide, a small reggage bar located off the shores of the central salt lake. It wasn’t that long ago that we were all sleeping in basic borugas on the beach. Accommodation on Gili Meno has definitely come a long way since then. 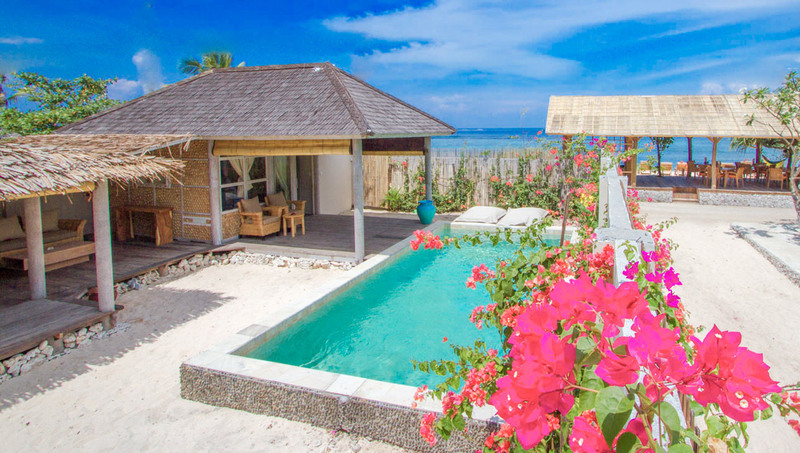 From hostels to homestays to hotels, Gili Meno has a huge variety of places to stay. And of course the beach borugas will always be an option! 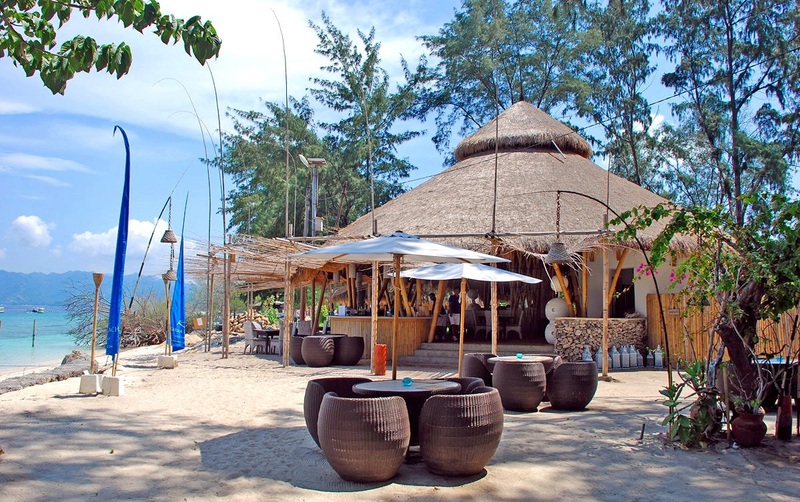 From the north, east, south and of course west, Gili Meno offers up a huge variety of feeds. Enjoy a cheap street-side nasi campur or beach-side seafood platter. Imported coffee or exported beer. Exotic night market or classic pizza joint. The Gilis have got your dietry requirements covered. Learn to become a breath-hold diver. Whether you’re a beginner or a more experienced freediver, the range of courses on Gili Meno will train you to be more efficient with oxygen and provide you with the skills necessary to have you diving to depths of up to 20m in no time. For some, Apnea may be about diving deep and conquering inner fears while for others it’s a way to peacefully interact with the underwater world. Gili Meno has several amazing snorkel sites around the island. Masks & fins are abundantly available for rent at several kiosks, dive shops and resorts. Please bear in mind that the currents can get a little strong at full and new moon and it is not advisable to attempt swimming between the islands. 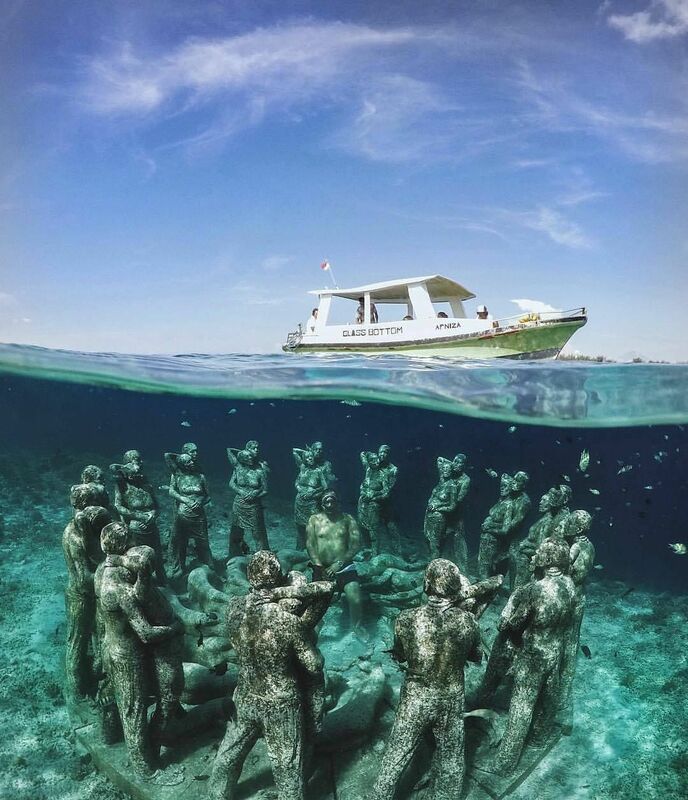 You can also book snorkeling trips around the 3 Gilis, Gili Air, Gili Meno & Gili Trawangan. Gili Meno is a great place for all kinds of watersports, from water skiing & wakeboarding to SUP stand up paddle boarding and the newest fun water activity Subwing. Are you looking to feel completely connected to your mind, body and spirit? Take a breather from regular island life and sign yourself up for one of the yoga classes or retreats available on Gili Meno. Gili Meno is the quietest and most laid back island of the three Gilis. There are no weekly partys, but some bars have life music once in a while. Head to the west side of the island, sit back with a couple of beers and watch the colors of the sky change as the sun sinks behind Bali’s Mount Agung. You can cycle around Gili Meno in less than an hour for a healthy workout or cycle at your own leisurely pace and really get to know the island. Don’t forget to bring water and your snorkel equipment. The island hopper boat leaves Gili Meno to Gili Trawangan at 8:45 am and 3:15 pm and to Gili Air at 9:45 am and 4:30 pm.